Clear The Air would like to share this testimonial from Sandra. 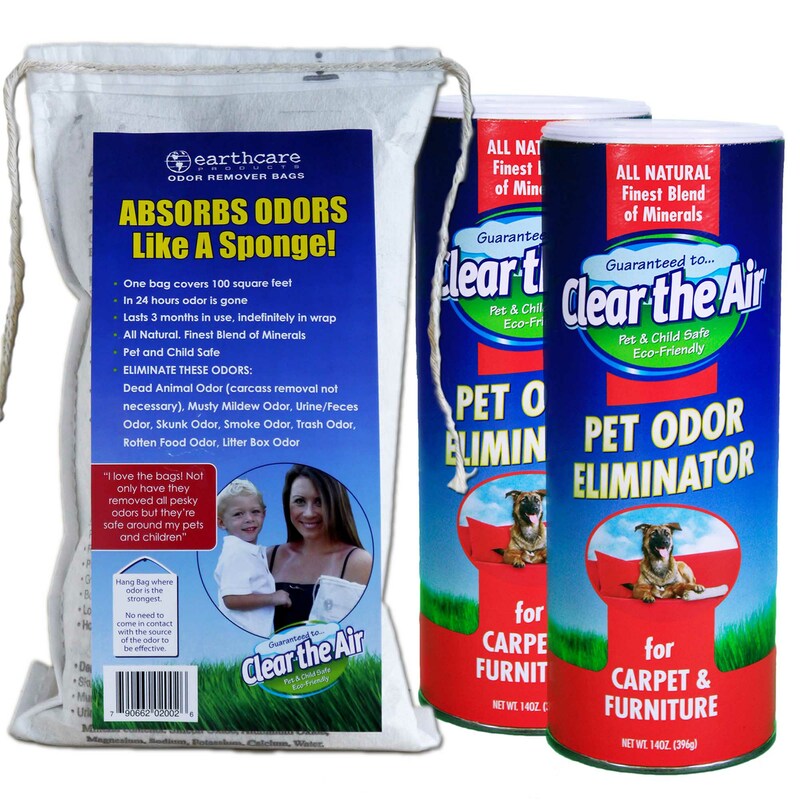 Clear The Air would like to share the following review about our Odor Eliminators. We all love our pets but sometimes they come with foul odors we would rather not deal with. Our product can help! With our product you can safely and confidently eliminate animal odors no matter how strong they are. With Clear The Air Cat & Dog Urine Odor Eliminator just sprinkle the granules on top of the carpet leave on overnight and vacuum in the morning and the odor is completely eliminated. Works well on all surfaces pulling the odors out of tile and concrete. 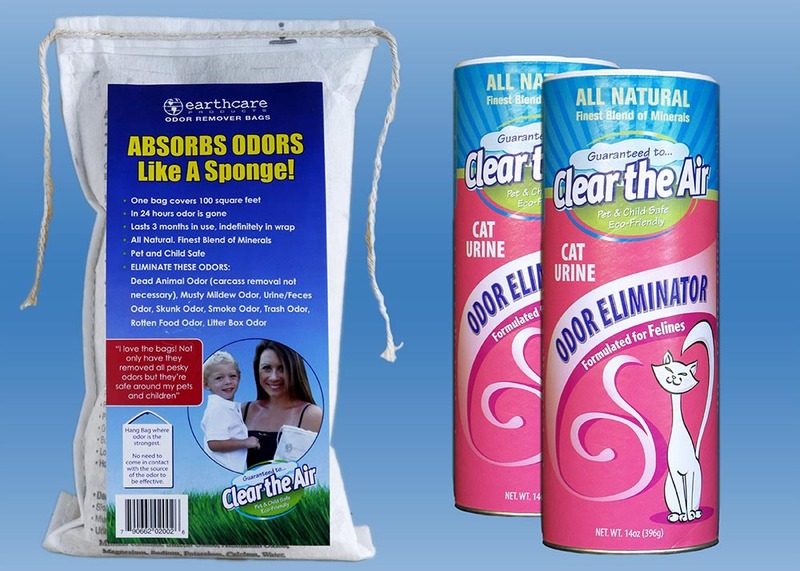 Will completely eliminate the odors from your liter box, no one will know you have a liter box in the house! Fall is just around the corner and soon it will be time to start that fire in the fireplace and decorate for the holidays. Clear The Air would like to share some great tips to make sure your home is ready for the Fall and Winter months to come. Here are 5 home maintenance tips to prepare for the fall months. Remember to keep our Clear The Air products on hand for any odor you may experience in your home. Clear The Air works great for any last minute odors that creep up right before company arrives. Check for leaks – Cold air can get in around doors and windows. Use a flashlight to check for door and window drafts. If you notice a leak you should add weather stripping to doors and use caulking on windows. This is also a good idea to do during the summer to keep cooling costs down. Check smoke detectors – Replace your batteries every time fall and spring come around. So many fires are caused by Christmas trees so it is extremely important to check your smoke detectors to make sure they are working properly and can warn you in the event of an emergency. Check your heating system – Just as you want to do before summer starts for your AC unit, check your heater to make sure it is working before the colder months of the winter set in. Check your watering schedule – As temperatures begin to cool, plants need less water. Adjust your watering schedule for lawns, borders, and containers. Pay close attention to containers as they tend to become waterlogged. Check to make sure your fireplace is ready for use – Make sure your fireplace is free of ashes and your chimney is cleaned out before having your first fire. You may also want to ensure your flu is open before lighting a fire if you closed it up over the warmer months. Nothing says Fall like a cozy fire in the fireplace. If your house smells like a fire after you have a fire in the fireplace, we recommend hanging a couple Odor Eliminator Bags around your fireplace to eliminate any smoke odors. Customer testimonials – our product WORKS! LOVE your stuff! A “bonus” is when you vacuum up the granules, they stay in the vacuum and I no longer smell the dog every time I vacuum! When dumping the filter, I NEVER dump the granules! Vacuuming is now not a “smelly” job. ~Yvonne S.
I used your Odor Removing Granules and I have to say they work great! I have tried just about everything on the market to get rid of cat urine smell and nothing has worked like your product. ~Eileen I.